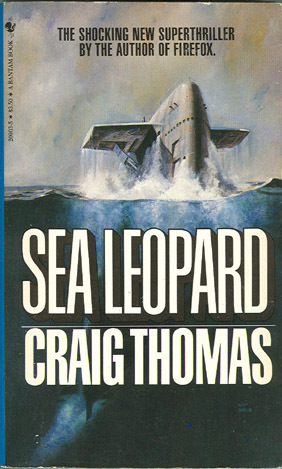 “SEA LEOPARD” By Craig Thomas (Fiction). 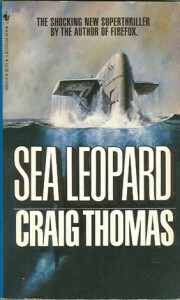 Set in the Cold War era, the deadliest submarine at sea now has the ultimate in defense technology: SEA LEOPARD, code name for a secret anti-sonar device that can render a sub invisible to scanners. The Soviets, desperate to possess they key to this invincible weapon, spring a trap off the coast of Norway––and seize the prize. But the British must retaliate––with a daredevil mission: Rescue Sea Leopard at all costs! 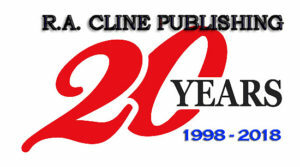 1982 Paperback edition with 317 pages, no photos.